Happiness Yoram Gefi is the second General Secretary of ELCT South East of Lake Victoria Diocese since August 2017. She is also acting as the Director for Women, Children, and Diaconia at the Diocese. Born in Dongobesh, Mbulu District in Manyara region, Happiness was educated in area schools through high school. She received Certificate in Computer Training from Masoka Management Training Institute, Diploma in Hotel Management at Masoka Management Training Institute, Certificate of Achievement to combat against Drug Abuse, HIV/AIDS and unemployment from Tanzania Youth Development Association. She also received certificates in Social Accountability, Certificate of Management Course for Senior Church Administrators/Executives at CORAT Africa in Nairobi. 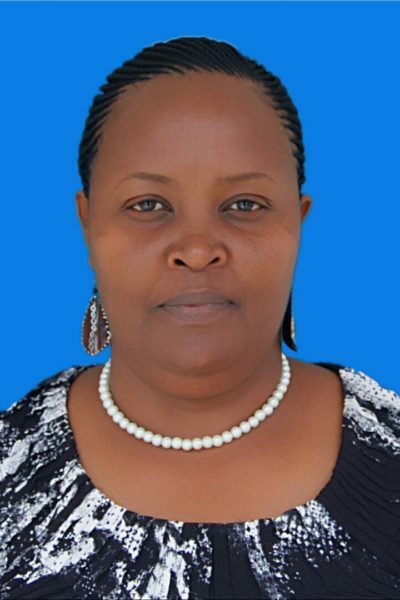 She pursued Bachelor of Arts in Sociology and Masters of Human Resources from The Open University of Tanzania.She has experience in Human Resources and management working for companies such as 7 Up and Karatu Lutheran Hostel. Happiness has held the position as the General Secretary at Evangelical Lutheran Church in Tanzania East of Lake Victoria Diocese, Mwanza. She was the First woman appointed by the general assembly of Evangelical Lutheran Church in Tanzania as a Recording Secretary. She is married with three children, two girls and a boy.